The memorial of the successful defender of Kotsinas castle against the Turks in the Middle Ages. 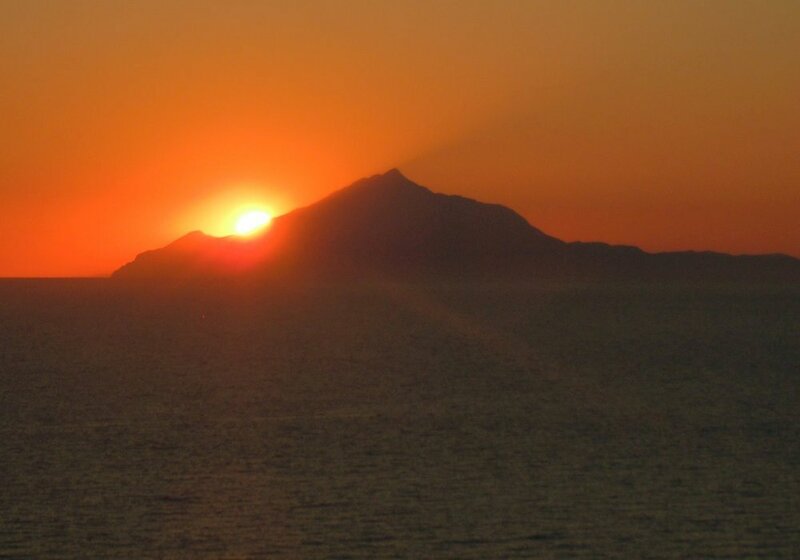 In the ancient realm of myth there is the account that in prehistoric times the island Lemnos (Limnos) was only inhabited by women. This island was called gynaikokratumene, which means »reigned by women«. In the Greek myth about the Argonauts a group of men comes to this island on their way to the land of Colchis (in the East of the Black Sea). According to this account this island was only inhabited by women; a queen named Hypsipyle ruled over this women's state. It is interesting that the women of Lemnos received the Greeks kindly. 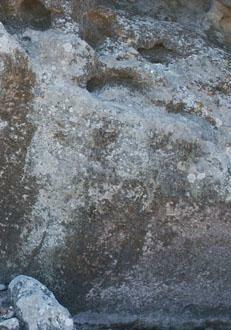 Apparently, these women of Lemnos lived as self-confident Amazons on this island. 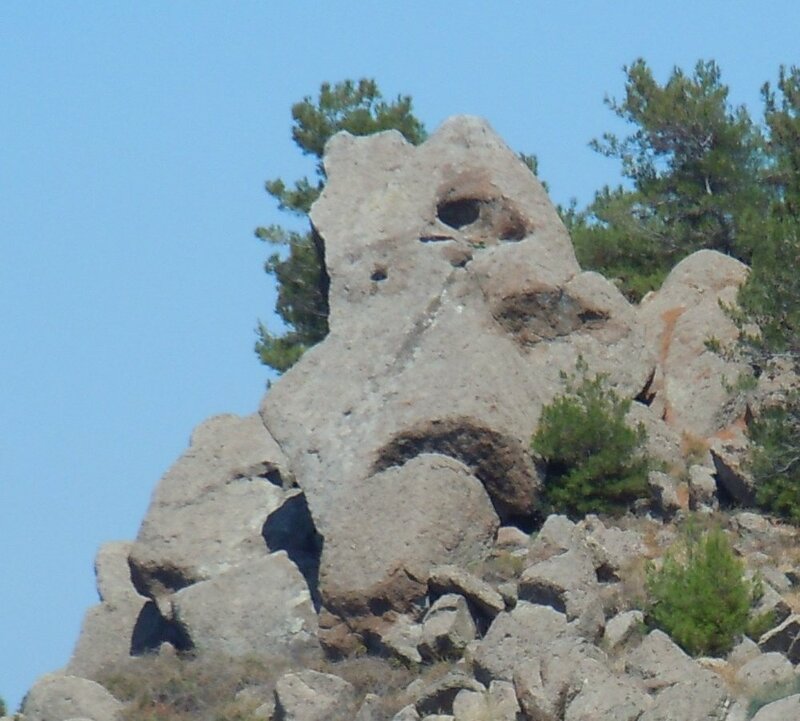 Quite obviously, this myth reflects former matriarchal life on Lemnos. 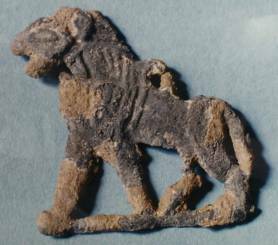 Excavations in Lemnos resulted in many amazing finds. 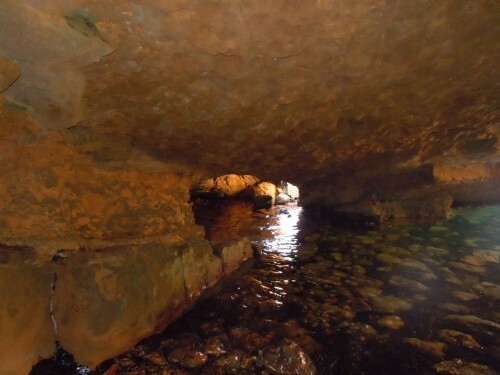 In Poliochni there has been excavated a town which exceeded all contemporary settlements. There has been discovered a town which was nearly twice as large as contemporary Troy. 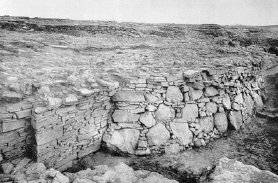 The Early Bronze Age town of Poliochni had large roomy houses which were arranged in blocks along a North-South main road. By-roads crossed this main road at right angles, and at the crossings there were little places with wells and drainages. 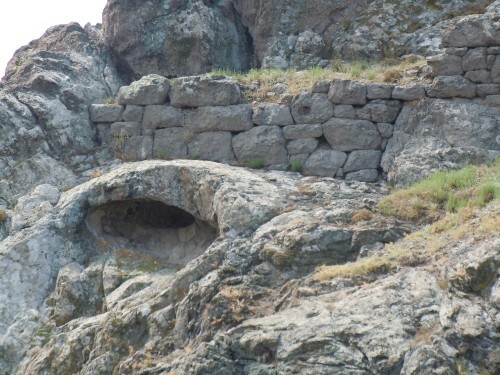 The town was surrounded by a stone wall which was 5 meters high, and there were slots for archers. This is rather surprising because at this period only at Poliochni there have been found arrow-heads! It is an amazing parallel to the Amazons because the Amazons were considered as outstanding archers. The inhabitants of Poliochni seem to have been rather wealthy, so there has been discovered a valuable treasure in the ruins. A special feature of Poliochni must be pointed out: The town consisted of uniform large dwelling houses which demonstrate that there existed a society with very little social differences. This kind of social order is a typical sign of matriarchy (female rule). 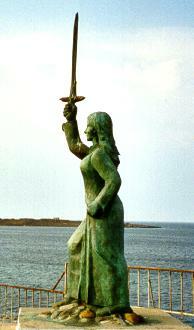 The name of the capital of Lemnos is Myrina. According to the ancient mythical tradition the first outstanding Amazon queen was named Myrina! The rather unknown North Aegean island Lemnos amazes with its great prehistoric past. About 5000 years ago there existed a highly-developed civilization which created imposing cities, mighty rock buildings and impressive sanctuaries on this Greek island. The discovery of Poliochni was sensational. Because of its largeness and refinement this Bronze Age settlement is regarded as the most ancient city of Europe. 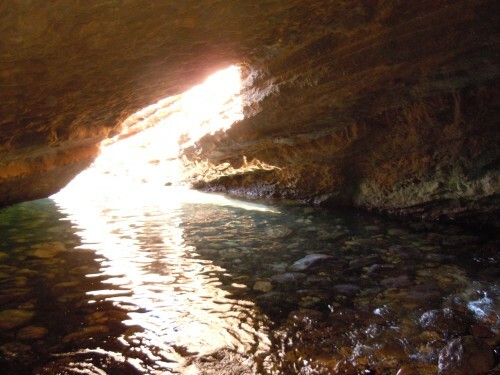 Also the discoveries at Myrina in the west and Hephaistia in the north witness the island's prehistoric importance. Presumably there was a further city in the Northeast - Chryse, which was sunken under the sea. Moreover, the findings make evident that in this ancient civilization there was gender equality, it even seems that the women had the predominating gender role. 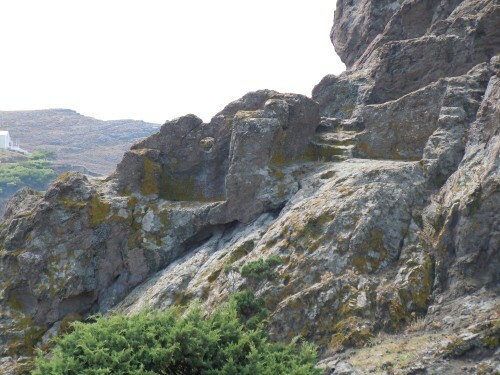 Not without reason in antiquity Lemnos was described with the words »island dominated by women«. At present, this book is only available in German. This book focuses on the numerous traces of the Amazons. It reports on latest findings and investigation in the legendary homeland of the Amazons at the river Thermodon and on the Amazon island Lemnos. Fresh evidence indicates that the Amazons really existed! According to these new discoveries the lost history of the Amazons can be reconstructed. This book presents the Greek myths in detail, and it doesn't neglect matriarchal aspects.